If coaches are going to train their sprinters like powerlifters why not start with powerlifters and train them to run faster? If it's just leg strength that makes a sprinter faster, we should recruit super heavyweight powerlifters, work on their turnover rate, throw in some plyometrics, and finish off with some work out of the blocks. It would be easier than the current practice of blowing up a sprinter to look like the Michelin man (with or without drugs). Sound ridiculous? Of course, but no more so than the current methods of speed training for sports, which entirely misses the key to faster running-- maintaining a delicate balance between strength gain and changes in bodyweight. It is the Holy Grail of sprinting, the most significant aspect to keep in mind when training for speed. This doesn't mean that anyone who wants to run faster should look like a runway model in the fashion world. However, it does mean that sprint coaches who focus on the traditional equation for speed (Speed = Stride Length x Stride Rate) in the belief that increasing either factor, or both of them, will result in the creation of the next potential world champion/world record holder are missing the true driving force behind the development of sprint speed. Coaches recognized early on that stride lengths got longer when sprinters applied more force to the ground. They also realized that increasing strength was the best and most natural way to increase force against the ground so they designed training programs to increase athlete's strength. Some coaches and athletes, in a misguided frenzy to increase mass instead of strength, decided that "naturally" also includes performance enhancing drugs to help train longer?to get bigger. Differing methods for gaining strength have come and gone since the discovery of the speed equation. Weightlifting, sled towing, weighted vests, hill runs, stadium stair climbing, parachutes, and a host of other methods have become part of the strength training bag of tricks. Some tricks showed good success and remain; others have proven ineffective, or even dangerous, and so they were dropped. Increasing Stride Rate was a little more complicated for coaches because Stride Rate has two separate parts; the swing time (the time in the air when the feet switch position from back to front) and the contact time (one foot is touching the ground). It is difficult to train faster Stride Rates without interfering with running mechanics so this part of the speed equation generally received less attention or was ignored completely. Some brave coaches continue to use their own personal witches brew to speed up "turnover rate" to reduce swing time. More recently and regardless of the method, the focus has been on simply gaining strength to increase stride length. Thankfully, a few hardy souls, led by Harvard Medical School research physiologist Peter Weyand, were ready to challenge the establishment by testing the speed formula. What they found was the Holy Grail to faster running speed. The old equation was still partially correct, but incomplete. It was missing the most important element ? the Bodyweight. Weyand and his associates proved that simply gaining strength is not enough. Their study showed that the key to faster running was mass-specific force. 'Mass-specific force' is just another way to say that it isn't merely the amount of force applied to the ground that increases stride length; it's the amount of force in relation to bodyweight. We have two miniature rockets, A and B, that are of equal size, carry equal amounts of fuel, and use engines of equal power. The only difference between A and B is their weight. A is made out of heavy steel and weighs in at a hefty 100 pounds but B is made of lightweight material that weighs only 50 pounds. What happens? B blows off its launch pad before A, quickly puts an increasing amount of distance between them, then watches as A's added weight causes it to drain its fuel supply and drop like a brick. All other things being equal, the lighter rocket will go faster and further every time. If force alone was the major factor in speed, then a 400-pound man able to pound down 700 pounds of force would win every race -but we know that's not what happens. If we match our 400-pound behemoth against a 170-pound man who can lay down 500 lbs of force, there's no contest. Big man bites the dust. Why? Mass-specific force. The 400-pound man is generating a meager 1.75 times his bodyweight against the ground while our thin man is applying a whopping 2.94 times his bodyweight. Like our rocket example, big man can't keep up from the start and quickly runs out of gas trying to push his mammoth mass. Even though the big man can generate 40% more force, it pales compared to the thin man's 68% greater mass-specific force. The Weyand gang's research added some other startling information about the running speed equation. Stride length wasn't the only part of the equation affected by greater force: Stride rate also showed significant gain. But not in the way coaches still swear by. Recall that Stride Rate had two main factors: the swing time and the contact time. Coaches that work on increasing Stride Rate spend their time attempting to speed up swing time (or turnover rate). Weyand's study showed that swing time was not crucial. In fact it was hardly of any consequence at all in speed training. Contact time was the more important factor in Stride Rate. Greater force causes the amount of ground contact time to decrease, so Stride Rates become faster by the amount of time NOT spent on the ground. Think of it like a bouncing ball, the harder you throw it against the ground the faster it bounces back up. Score another point for mass-specific force! At this point you might be thinking that swing time can't be inconsequential. After all runners must switch the position of their feet and surely if they can do it faster they should run faster. Right? It does appear that way when you watch someone run, and that's the very reason why coaches were fooled for so long. What you see is not what you get. The combination of longer Stride Length AND shorter contact time means longer time in the air on each stride. Not enough time to have made the Wright brothers jealous but more than enough time to render swing time of no concern - to either athlete or coach. In fact, the worlds fastest runner at the time of the study reached a top speed of 11.1 meters per second (m/s) yet the amount of time it took to reposition his legs in the air was only three hundredths of a second faster (.03s) than another sprinter who poked along at 6.2 m/s, almost half the speed. There is no question that the champion sprinter could have repositioned his feet faster than he did, but the time he gained by the combination of longer stride length and shorter contact time made it unnecessary. Bargain hunters love to get a retail Buy One, Get One free (BOGO) coupon. Speed coaches get their own version of a BOGO when they focus training efforts on mass-specific force. They get the longer strides they always wanted and get faster Stride Rates for free--plus a special added bonus: no danger of destroying good running mechanics. How important is Weyand's discovery? In the world of speed training for sprints, basketball, baseball, football, soccer, and any other sport that requires sudden bursts of forward speed, this changes EVERYTHING. It means that speed training becomes simpler and less expensive (no need to buy those fancy gadgets), but it also means a radical change in approach to strength training. Athletes must increase strength without gaining any significant amount of weight. In fact, the goal should be no weight gain at all. Is that possible? YES! We had already read Weyand's study as well as Pavel Tsatsouline's outstanding book Power to the People! and it's focus on strength without bulk, but like many others, we had not connected all the dots. Let's see?increasing mass-specific force means getting stronger without adding bulk?Pavel's book suggests ways to increase strength without adding bulk?Eureka! Although it wasn't that simple, it was close. The deadlift is a key factor in Pavel's book, but certainly not a favorite for speed training in the eyes of sprint coaches. After all, how could anything be better then squats for leg strength? Maybe leg press as an alternative? Throw in some leg extensions? The deadlift wasn't a favorite in our eyes either until we noticed an interesting and powerfully motivating fact: World and European powerlifting records show that the deadlift and the squat records are within 10% or less of each other across all weight classes, both for men and women. Yet the deadlift works a significantly greater percentage of the muscles and involves multiple joints; why waste time and energy on squats or leg press machines? Realizing the efficiency of the deadlift led to the complete restructuring of our strength workout. What did we do? We focused on making the entire workout efficient so that it would take minimum time and require minimal equipment yet accomplish the goal of large strength increase with minimal weight gain. We also decided that all strength work should be done in the weight room. This would improve efficiency and reduce time on the track. Usually depth jumps from varying heights but occasionally used stand triple jump or long jump, generally 6 jumps or less. The focus is on delivering maximum strength in minimum time. Abdominal exercises each session, 3-5 sets of 3-5 reps.
No needless muscle pumping here, just an efficient, effective workout without excessive body weight gain and geared to deliver maximum force in minimum time; a perfect fit for Weyand's study. And, all done with a simple set of barbells and some boxes. The key to this workout's effectiveness? TIME. What was timed? The rest period between sets is exactly 5 minutes allowing up to 90% or more ATP regeneration. The benefit is much more rapid strength gain. By keeping sets and reps low, timed and without lifts to failure, lactic acid was minimal or non-existent. The benefit was that the athletes felt exhilarated and ready for a full event workout after lifting. In September of 2002, we began high school sprinter Allyson Felix's final assault on Marion Jones' national high school 200-meter record. At the time, Allyson weighed 121 lbs. She had improved at a rate of ? second or better the two previous years so we were not expecting anywhere near that improvement rate in 2002. When you're already under 23 seconds in the 200 meters an additional half-second drop in time in a single season is incredible. Allyson, and the other athletes we trained, began the new training protocol in September. Allyson's previous best deadlift was 125 lbs, primarily because we did not focus on that lift in the past. Allyson increased September's 125 lbs deadlift to 270 lbs in mid April (as witnessed by Tim Layden of Sports Illustrated) and to an estimated 300 lbs by June. Her body weight increased a paltry 2 pounds from 121 lbs to 123 lbs. Meanwhile, her 200-meter sprint time dropped from 22.83 in 2003 to 22.11 in 2004 (adjusted to 22.30 for altitude, a ? second or better gain!). She had run the fastest 200 meters in the world (without resorting to drugs) for all women. Right about now you may be thinking that Allyson Felix is a gifted athlete and that this is not good proof of the effectiveness of the workout. Sure, Allyson's tremendous natural talent allowed for eye-popping times, but ALL of her teammates showed significant reductions in time for sprints, as did the athletes of other sports doing the same workout. They also showed as large or larger increases in strength both in actual pounds and percentages. One of Allyson's sprint partners increased from 85 lbs to 215 lbs in the deadlift over the same time period yet increased her body weight from 98 pounds to 100 pounds. She had shown little improvement in her hurdle times over the previous 2 years but improved dramatically in 2003. Her best time in the 300 hurdles in 2001 was 46.67. In 2002 her time regressed to 46.83. 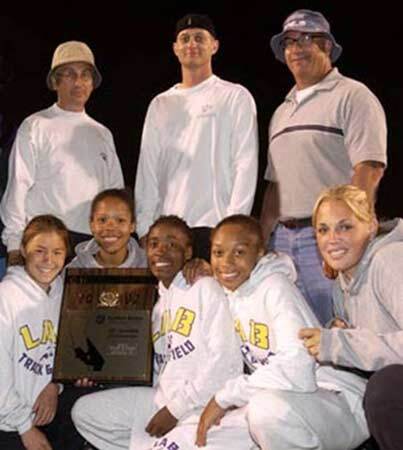 In 2003, using the workout described above, she won the California Southern Section Division IV 300 meter hurdle championship in 45.88. This was a big improvement for someone who had been running competitively for at least 7 years. Soccer players had equivalent gains as did athletes in baseball and other sports. 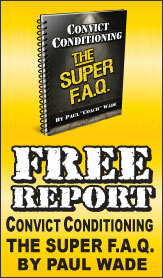 Peter Weyand's study has not been universally accepted by the coaching elite. Some may not trust the study because it challenges long-held concepts of what makes people run faster or it runs counter to what they think they see. Others may feel there is no way to adjust training to fit the study. From our experience, neither could be further from the truth! Barry Ross has been coaching for more than 25 years, initially a track and field throwing events and general strength training coach. His focus in the last 10 years is on increasing the strength and speed (power!) of athletes in a variety of sports including football, baseball, volleyball, basketball, and track. Coach Ross has had a solid percentage of his athletes receive NCAA Division 1 and 2 scholarships in a variety of sports (including volleyball, football, soccer, and track) at UCLA, San Jose State, U.C. Berkley, University of Southern California, UNLV, Washington, and the Naval Academy. Among his most well known athletes are Jessica Cosby, winner of Pac 10 titles in the shot put and hammer, as well as a NCAA Division 1 title in the shot put and Allyson Felix who, as a 17 year old high school student in 2003, broke all of Marion Jones high school records in the 200 meters and went on to run the fastest 200 meters in the world that year. Ms Felix also became the first track and field athlete to go directly from high school into professional track. 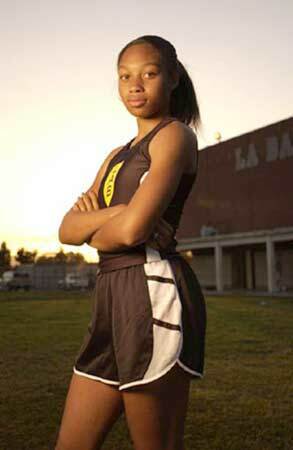 In August, 2004, 18 year old Allyson Felix won the silver medal in the Athens' Olympic Games.